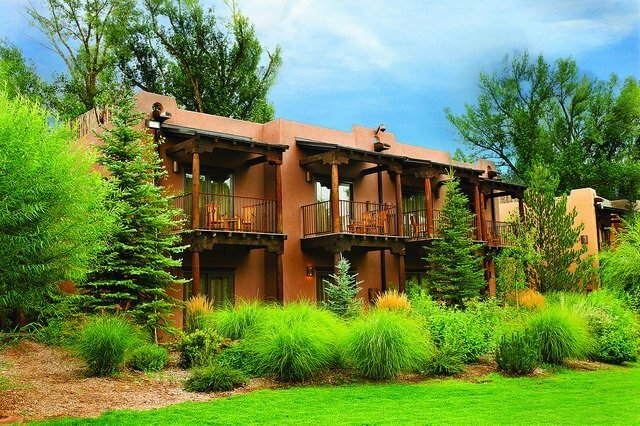 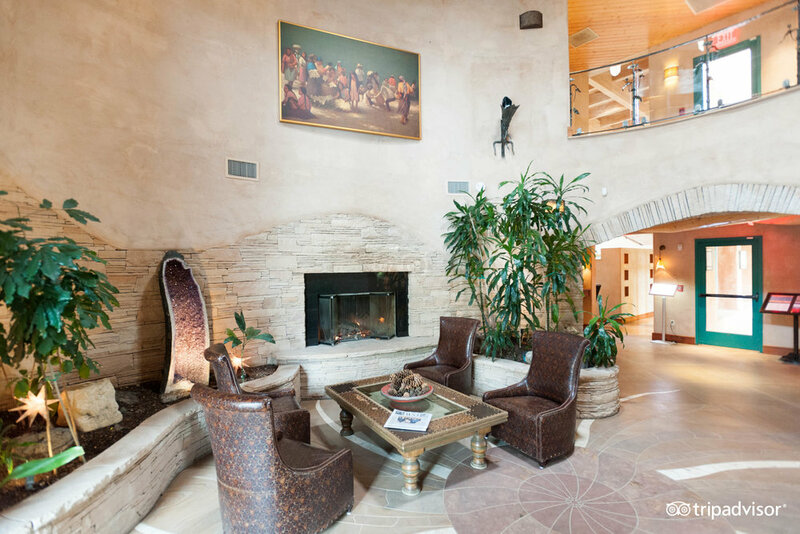 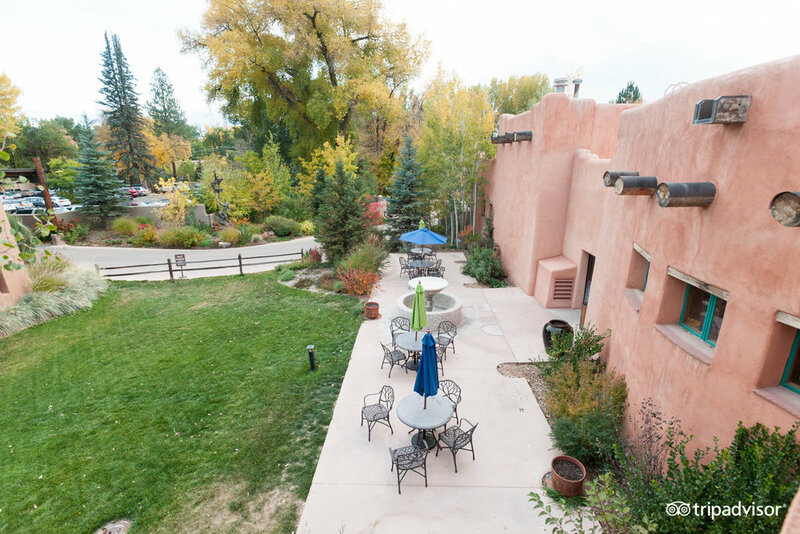 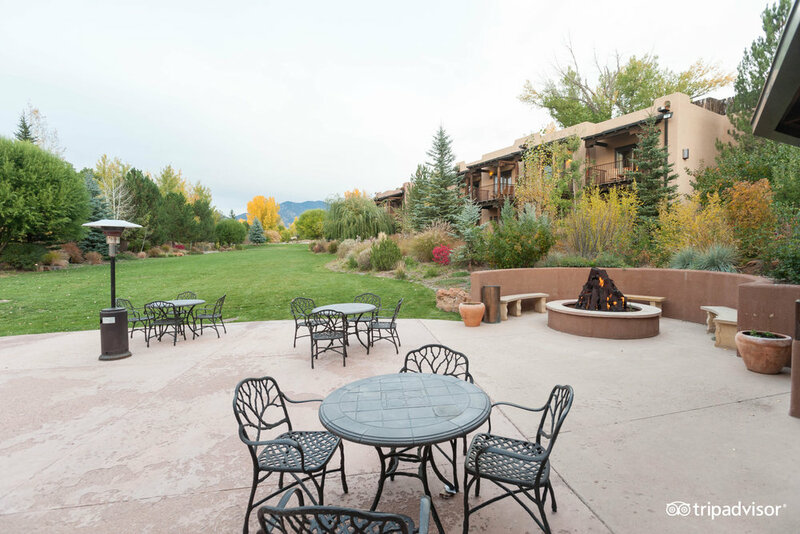 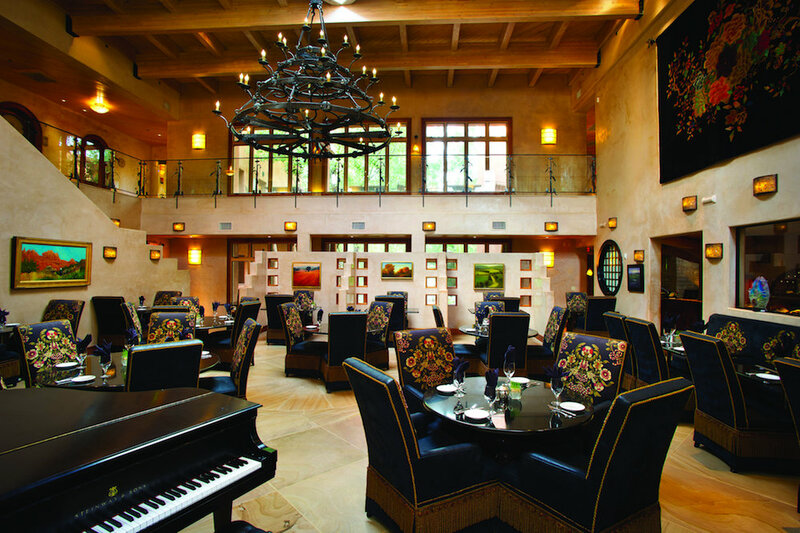 El Monte Sagrado Living Resort and Spa is located just three blocks from Taos Plaza and is within a short drive of Taos Ski Valley. 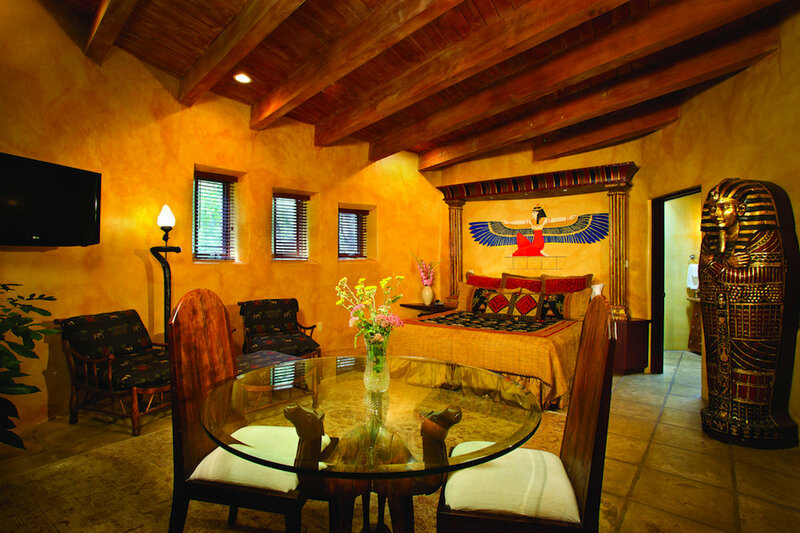 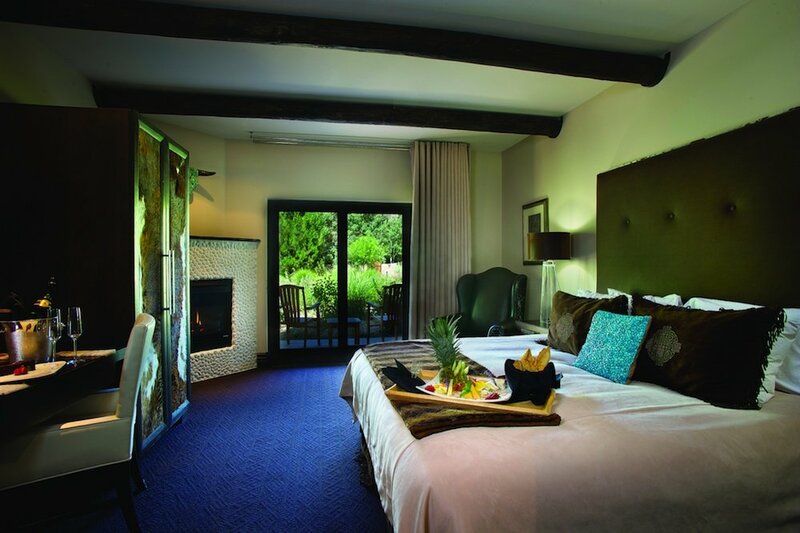 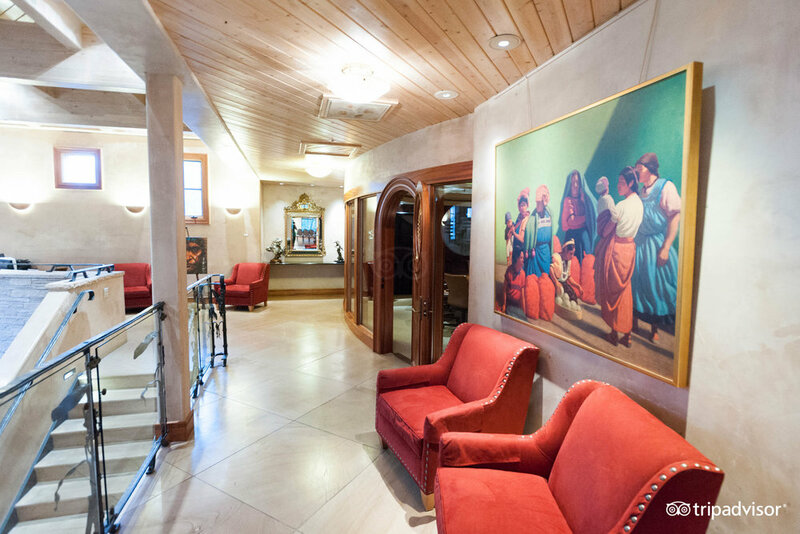 Accommodations include 84 guest rooms from which you can enjoy world class art galleries, shopping, museums and many historic Taos sites. 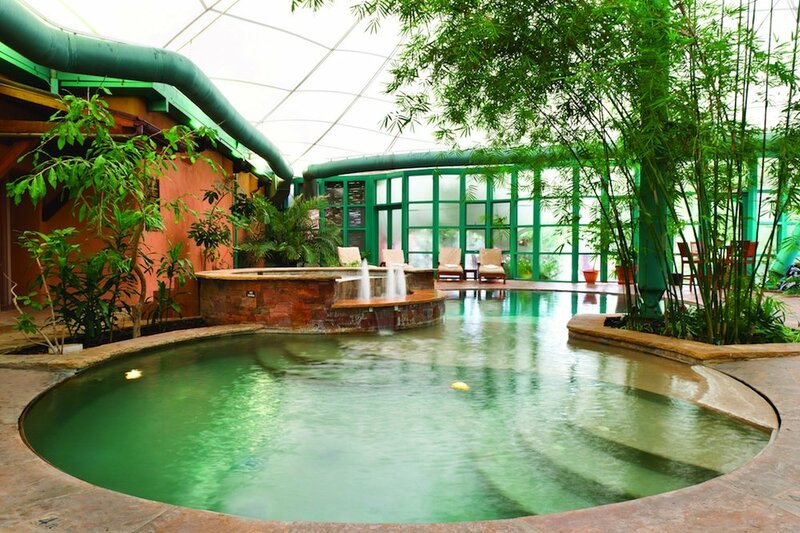 Guests have access to a heated indoor saltwater pool, hot tub and fitness center. 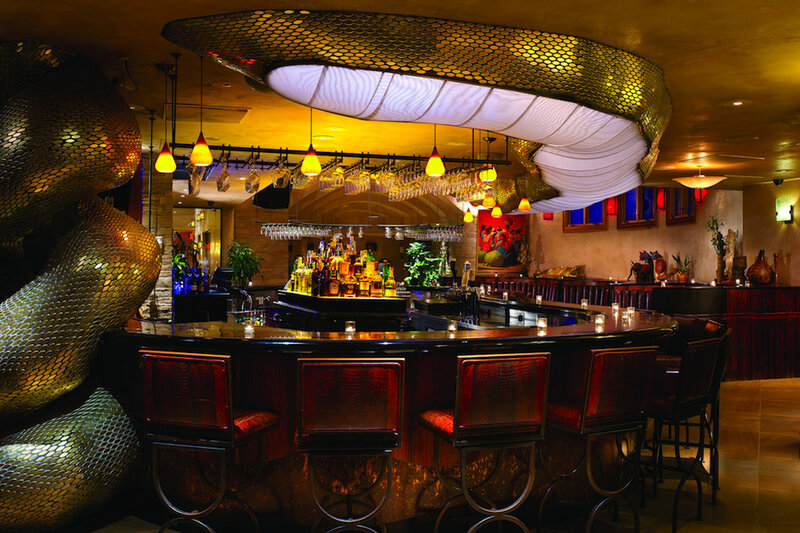 De la Tierra Restaurant and Anaconda Bar are on-site dining and entertainment options. 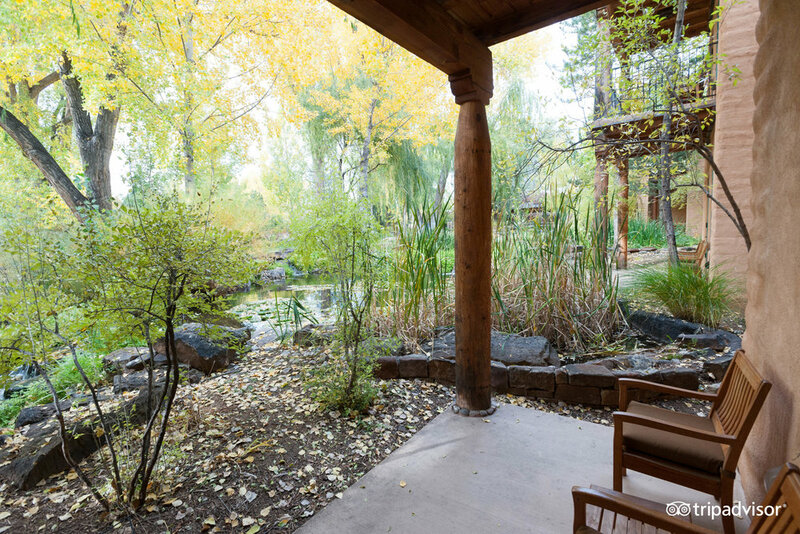 The Living Spa features total-body massages and a variety of therapeutic treatments. 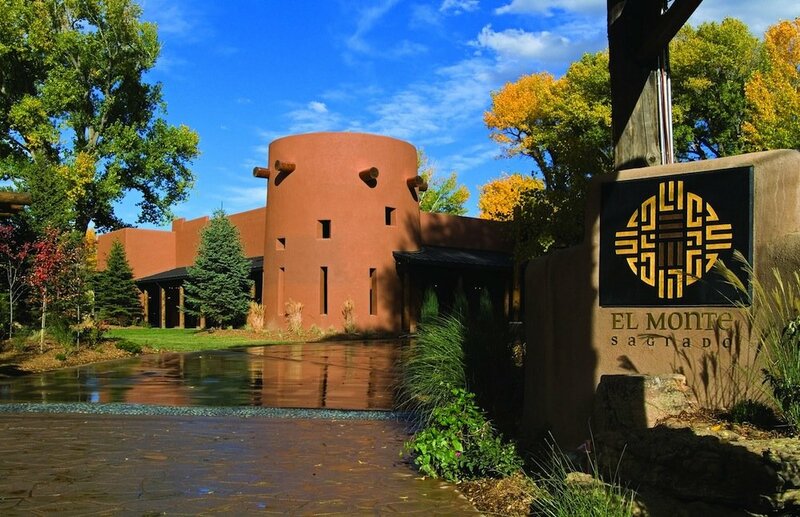 El Monte Sagrado is pet friendly.